Welcome on board this 24-7 Rolex Time Cruiser, bound for 1950. The crew will shortly be passing through the cabin with cocktails, cigarettes and bubblegum. Don’t forget, smoking is permitted on board, at any time. If you need a light do not hesitate to stop a member of the crew, or indeed, ask the pilot for a match. We will shortly be arriving in 1950, where today’s tour begins. We will be adopting the”beat” look. Will you please now put on your sunglasses, beret and black turtlenecks, and don’t forget to snap your fingers. We recommend you adjust your watches to local time, which is 1950. Be sure to return to the Time Craft by noon, when we will continue our journey, to 1970. Popular standards of the day, to which you probably know all the words without thinking, nothing over three minutes long, beb-bop in diapers. The microphony is primitive, the sound is boxed-in, no matter because no one had hi-fi. Stitt’s playing remains astonishing, considering he was limited to just ten fingers – on each hand. The Esquire is pressed with US metalwork, with the familiar AB stamp of Abbey Manufacturing, and machine stamp RVG. The vinyl is a little crackly in places, with occasional scratches. 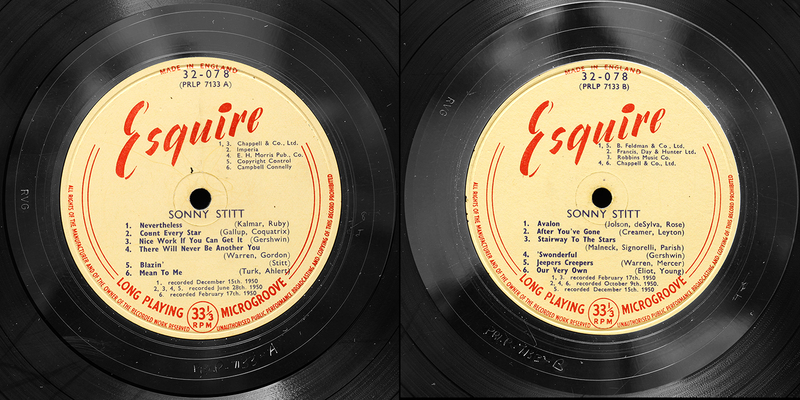 Despite being a sturdy pressing, the recording equipment in 1950 lacked the richness and dynamic range that would be available five years later, and the vinyl a hostage to the 10-20 gram tracking weight of the domestic radiogram arm. Welcome to 1970. Please study the dress-code card in the seat pocket in front of you, even if you are a frequent time-traveller.The cabin crew will give you a short demonstration of the dance steps required if you hear the word: Dance. Dance. Now, gentlemen, change into bell-bottom flared trousers and for the ladies, we have hot pants And please, put on your own platform shoes, before helping others with theirs. 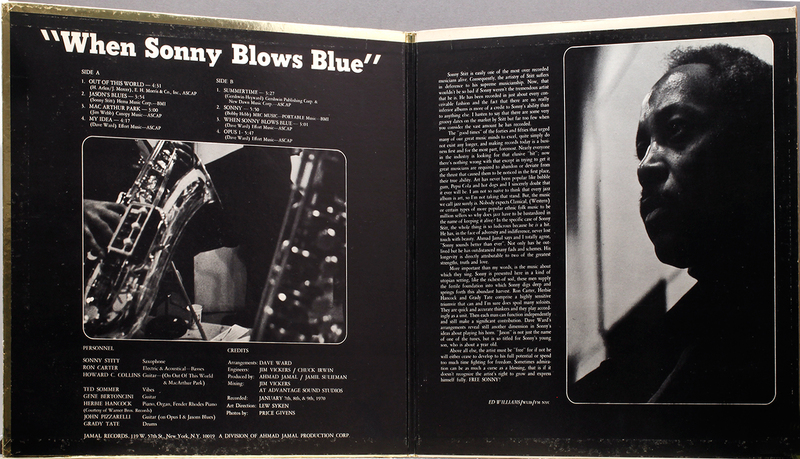 Everyone by now all heavily into electronic fusion but brought in to support one of the standout players of the bop years, Sonny Stitt. Lots of “standards” too, but contemporary ones – Summertime (and the living is easy…), Sunny (yesterday my life was filled with rain..), Mac Arthur Park (err nope, was never a fan of Donna Summer). 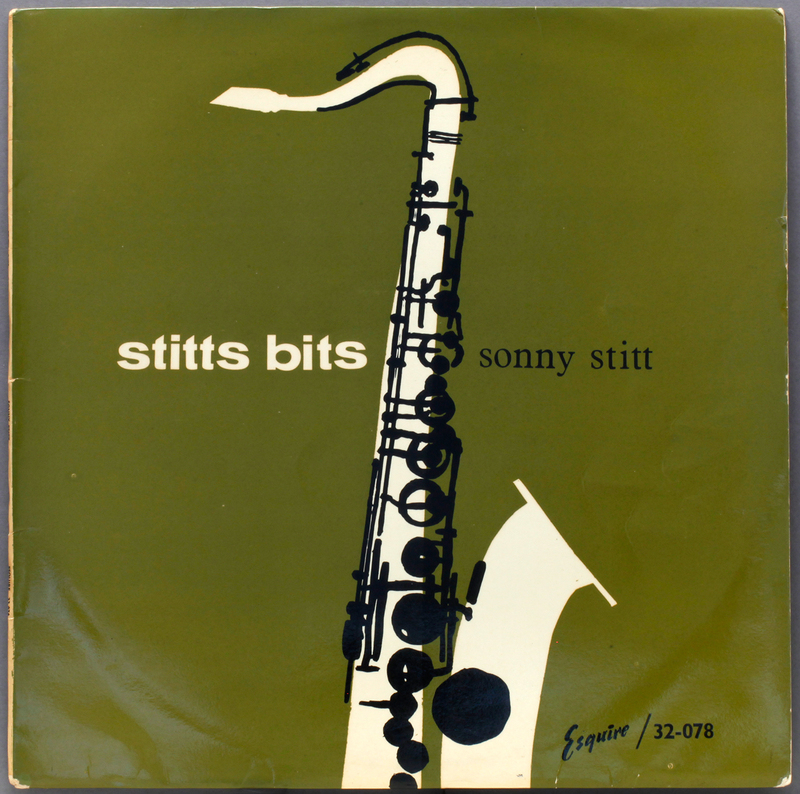 Sitt’s playing is a shadow of his earlier self, though with flashes of brilliance, but the steam has largely gone out of the engine. Audio-wise the studio engineering is nothing short of phenomenal, particularly the recording of Grady Tate’s percussion, much of the time the star of this record. Hancock and Carter show they have not lost their touch, and it is a very enjoyable outing. 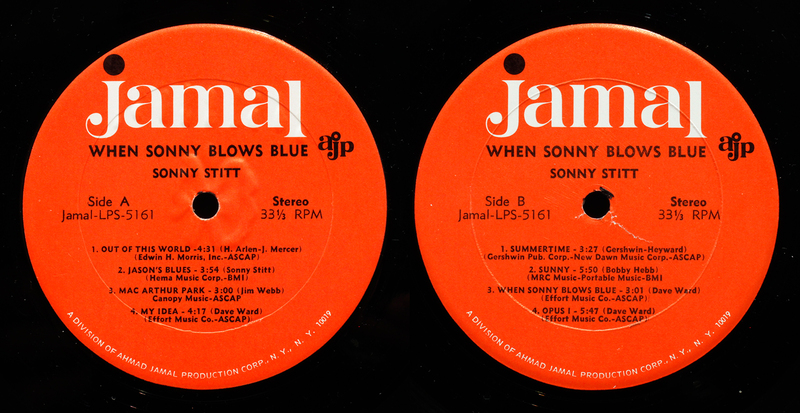 Recorded for Ahmad Jamal’s own label. The cover is of the so bad it’s good school. Somebody was very proud of their engineering – the Jamal run-out is replete with credits – audiospectrum, LCG, SON, Roby Jonze ( or Yonze) it looks like. We regret that, due to Time Traffic Control restrictions outside our control, we have been requested to land a year ahead of schedule, in 2013. Our sincere apologies to those who will have vehicles in the Timeport Car Park, who may be liable for some considerable excess parking charges, and whose loved ones have been waiting a year for your arrival . Marc Myer’s book Why Jazz Happened takes a very broad canvas, three decade on jazz, 1942-72, whilst my own collector focus I describe as one decade 1956-66. Whatever your boundaries, it is always useful to probe around the edges from time to time. I have found going back not very rewarding whilst occasionally I have ventured forward, sometimes with good results in musical and sound quality. Normally I would have ignored anything beyond 1973 and this falls just within. It is interesting to hear the changes both in musical style and sound engineering. I might just come back again to the Seventies, on a selective basis. 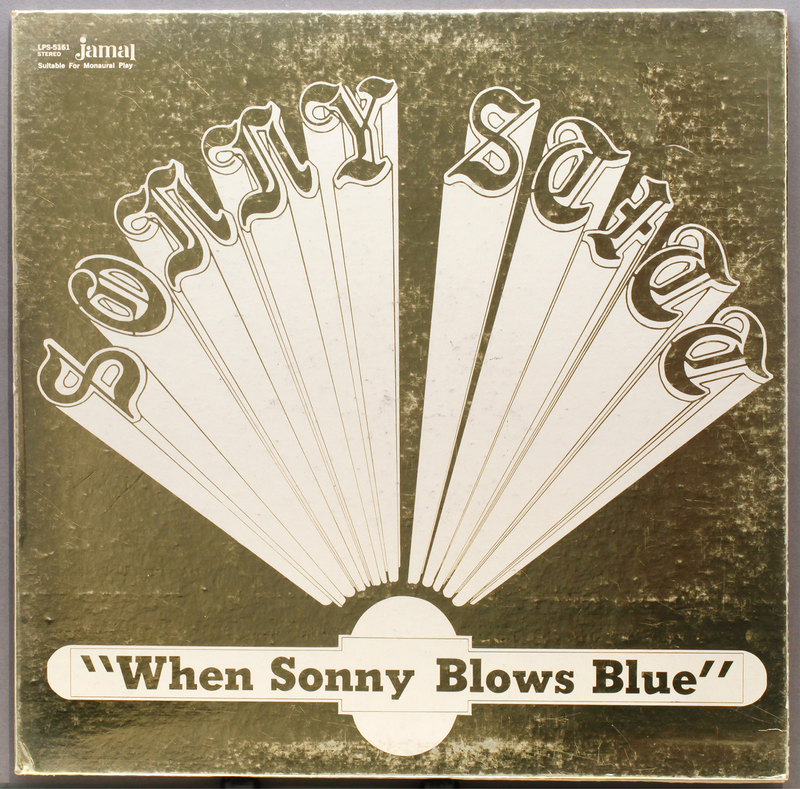 This entry was posted in Esquire, Sonny Stitt and tagged ahmad jamal records, Esquire, Sonny Stitt, Time Travel by LondonJazzCollector. Bookmark the permalink. 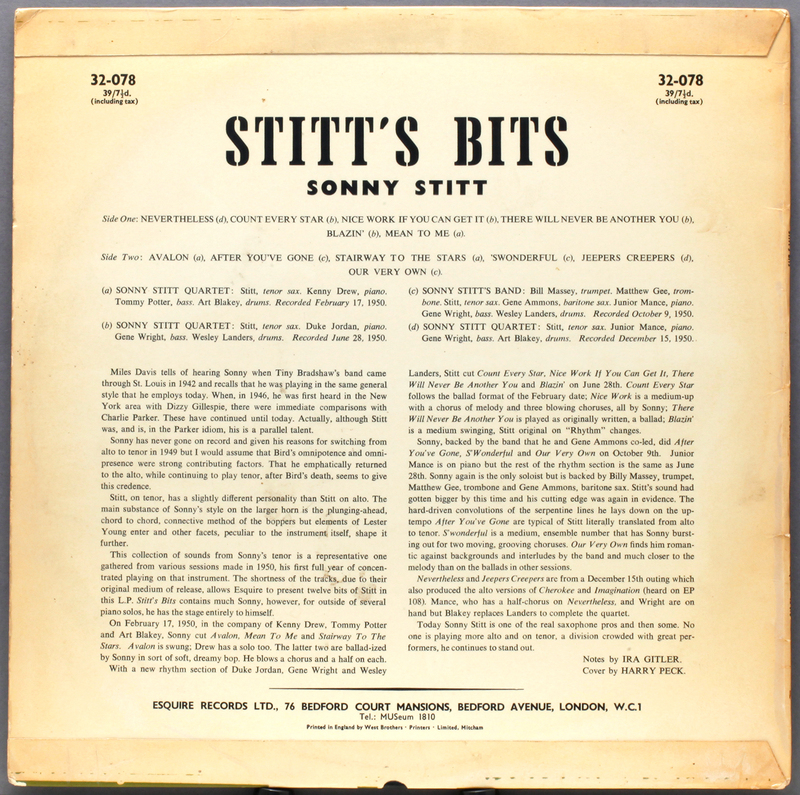 Strangely, Stitt actually released two of his better albums in 1972 – Tune-Up and Constellation, both on Cobblestone. They are killers, and the sound is quite good. It was like he got in his own time machine back to 1958 and just went after it. Straight-ahead stuff, and he’s in fine form. And they’re cheap – I pulled a perfect copy of Constellation from a $1 bin. We are Stitt fans and have quite a few of his records spanning the early ’50s to late ’70s, and we play Constellation as much anything. Always glad to learn something new, I’ll look out for them, thanks. True, on all three points, sadly. great writing, real fun; lesser music.